A varied selection of pieces arranged for solo flute and piano accompaniment suitable for both lessons and concert occasions. Songs from the shows mingle with classical tunes and folk melodies and range from the simple to the more advanced. This collection offers a companionable repertoire to set beside any course of flute tuition. 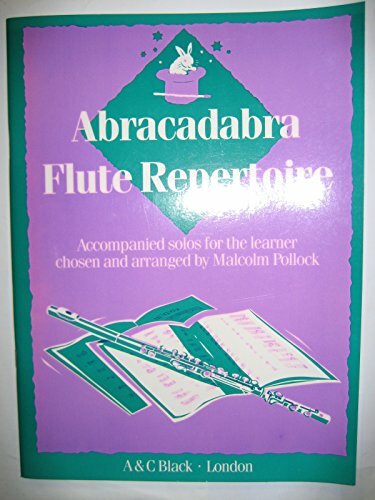 Malcolm Pollock is a teacher of wind instruments and was the author of "Abracadabra Flute", "Abracadabra Clarinet Duets" and the companion to this collection, "Abracadabra Flute Duets".